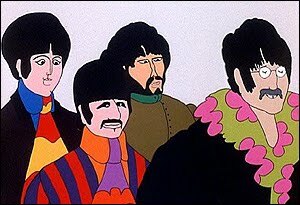 When the soundtrack to the Beatles’ animated film Yellow Submarine was released in January 1969, fans were gifted with four brand-new songs and two they already had–“Yellow Submarine,” which originally appeared on Revolver in 1966; and “All You Need is Love,” which was included on 1967’s Magical Mystery Tour, released in the U.S. as an album on November 27, 1967 and in England as a double-pack EP on December 8, 1967. Although one of the new songs (“Hey Bulldog”) was finished in February 1968, the other three were recorded in 1967. One of those songs was a seemingly simple and catchy little ditty from Paul McCartney entitled “All Together Now.” It served as the closing number to the film, beginning hot on the heels of the only scene in which the actual, human Beatles appeared. After George, Paul and Ringo show off souvenirs they picked up on their journey (George had the submarine’s motor, Paul had a little “Love,” and Ringo had a hole in his pocket (“Well, half a hole, hanyway”). 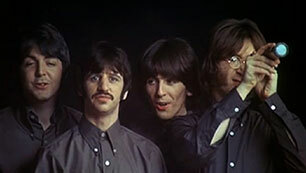 Then, the Beatles gave the enthusiastic countdown–Ringo: “One!”, Paul: “Two!”, George: “Three!”, John: “Four!”–and, as they gave their shout out, the acoustic strum of “All Together Now” began. Using “All Together Now” as the closing number of the movie was a masterful stroke by the filmmakers. Following a lively, if brief, onscreen appearance by the Beatles, the song seemed more important and, perhaps, mysterious. 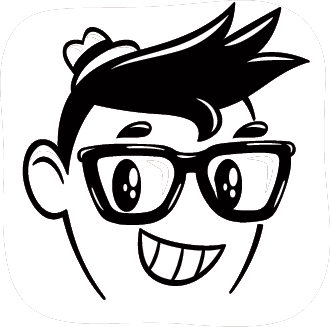 “Newer and bluer meanies have been sighted within the vicinity of this theater,” John warned. “There’s only one way to go out.” “How’s that?” asked George. “Singing!” said Lennon, smiling a deeply, broad smile. On screen, the song’s title is translated into a variety of languages and, at the song’s end, the tune honks and the movie is over. The song speeds up a bit towards its finale, engaging the audience and inspiring them to applaud, to stand up and cheer, which is what I remember doing way back in 1968 when my family went to see Yellow Submarine at a movie theater in Syosset, Long Island. I was 13 and a, b, c, d and all of the other letters swirled around me. I had just seen a wonderful film, full of wonderful Beatles music, and the real, honest-to-God Beatles were actually on the screen! I looked around to see if any Blue Meanies had indeed infiltrated the theater. I might have looked under the seat! Thankfully, they had not. They had, however, infiltrated my imagination. Would my father have known how to defend us against their bluish attack? I don’t think so. When the question is asked–“What are your favorite songs that Paul McCartney wrote while in the Beatles?”–I would highly doubt that “All Together Now” is listed very often. It would be on such a list if I were making it, though. It takes a whole lot of natural talent for a songwriter to put pen to paper and create a song so seemingly simple yet utterly complex–a song that people would be singing to themselves on the way out of a movie theater and then again at home, singing along with the record. “All Together Now” is magically catchy–a song that sinks its hooks deep into your soul. It showed another side to McCartney’s talents, and let’s face it, to go from the rough-and-tumble wildness of “Helter Skelter” to a catchy children’s song is no easy task. For people of a certain age, the experience of seeing Yellow Submarine was quite special. Mom and Dad may not have “gotten it,” by the kids did. And after the pace of the film ramped up as “All Together Now” reached its final seconds, and the theater lights brightened and the crowd started heading for the exits, entered their cars with the kids in the back seat, there was quiet in the vehicle. The vinyl upholstery was quiet as a mouse, in fact, as the parents wondered if their kids were going to be good citizens and go to bed with little or no fuss. Secretly, on the ride home, and as they fell asleep in their beds, the kids were singing the songs to themselves, reveling in some of the best scenes swirling around in their head. All, actually, was great and so spectacular. After so many years of crawling inside the Beatles’ golden catalog, I never get tired of reliving the thrill and majesty of the first time I heard, say, “Lady Madonna” or “Hey Jude.” “All Together Now” reminds me of being in that movie theater, going on such a wild and imaginative adventure along with my favorite group in the whole wide world. Even now, as I type these words, in my mind I am munching on popcorn and singing along. This entry was posted in I Love that Song! and tagged alan haber, all together now, george harrison, i love that song, john lennon, paul mccartney, pure pop radio, ringo starr, the beatles, yellow submarine. Bookmark the permalink. Win! Win! Win! A Great CD is Up for Grabs and It Could Be Yours!